Diabetes during pregnancy and poor social background may boost attention-deficit/hyperactivity disorder (ADHD) risk in children, reveals study. To examine the association of gestational diabetes mellitus (GDM) and low socioeconomic status with neurodevelopment and ADHD outcomes, Yoko Nomura, M.D., Ph.D., of Queens College, City University of New York, Flushing, and colleagues, compared offspring of mothers with and without GDM in an economically diverse sample. 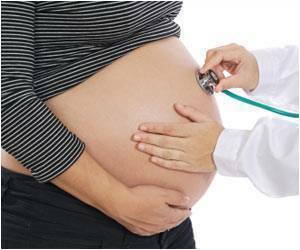 "Gestational diabetes mellitus (GDM) typically develops in the second and third trimesters and is defined as glucose intolerance with onset or first recognition during pregnancy," the authors wrote. "The prevalence of GDM has been rising for over 20 years, particularly among ethnic minorities and individuals with low socioeconomic status (SES), as have lifestyle changes that heighten risk including greater consumption of saturated fats, sugar, and processed foods, and sedentary working environments." The authors distributed the ADHD Rating Scale-IV to parents of 3- and 4-year-old children in preschools surrounding Queens College, and recruited 212 participants at a 2:1 ratio of "at risk" to "typically developing" children. At-risk children had at least six inattention or six hyperactive and impulsive symptoms as rated by parents, teachers, or both. "Typically developing" children had fewer than three symptoms in each domain. The mean (average) inattention score at baseline for offspring exposed to mother's GDM was significantly higher than for offspring unexposed, but there was no difference in hyperactivity/impulsivity scores between the two groups. Children in low SES families, compared to high SES families, had greater inattention and hyperactivity/impulsivity scores. The results showed no difference in the risk for ADHD at baseline, but a two-fold increased risk at age 6 years among children exposed to GDM compared with children who were not exposed. There was also a two-fold increased risk for ADHD at baseline and at age 6 years among children in low SES families. Children exposed to both GDM and low SES showed compromised neurobehavioral functioning, including lower IQ, poorer language abilities and diminished behavioural and emotional functioning. When examining the relationship of both GDM and SES exposure on outcomes, the authors found a 14-fold increased risk of developing ADHD among children exposed to both GDM and low SES. "This study demonstrates that children of mothers with GDM raised in lower SES households are at far greater risk for developing ADHD and showing signs of suboptimal neurocognitive and behavioral development," the authors added. The study has been published online by Archives of Pediatrics and Adolescent Medicine, one of the JAMA/Archives journals.